So, what have you been eating lately? Need some dinner/lunch ideas? Or suggestions on where I like to dine in the Greater Denver area? Having convinced my husband that I was crazy when I started reading food blogs many years ago and consequently started taking pictures of my own food, well, I should do something with those pictures, shouldn’t I? Now he is pretty much trained not to dig in before I get done with the camera. I have a new comfort food as of this fall, matzo ball soup. I first tried this at the Bagel Deli http://www.bageldeli.com/ in South Denver, well, I guess this is the ONLY matzo ball soup I have ever had. The diner was featured on “Diners Drive-Ins and Dives” and Guy Fieri’s taste in restaurants seems to run about the same as mine (I like places with Character). So of course I had to try it. The first time I was there, I had the Guy Fieri sampler, which had small sizes of the three dishes he featured on the show – matzo ball soup, kishka (kind of like stuffing), and a brisket knish (pastry filled with brisket). 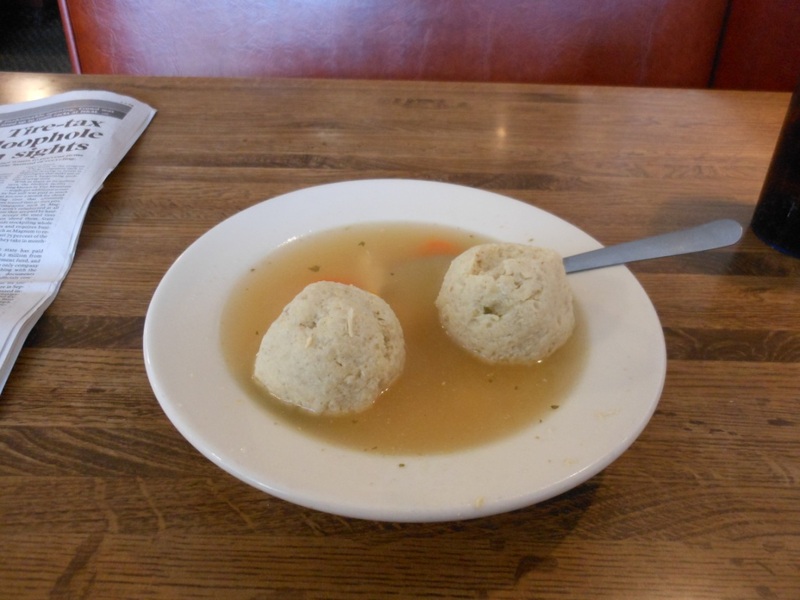 They were all good but my favorite was the matzo ball soup. I love most soup, period. So the next time I was there (and I used to work close to the Deli, but now I rarely get to that side of town, except for when I am going to IKEA, and then I am torn about whether I should eat at IKEA or the Deli, and the Deli has won so far. Look at those balls, those are some happy balls. And delicious. 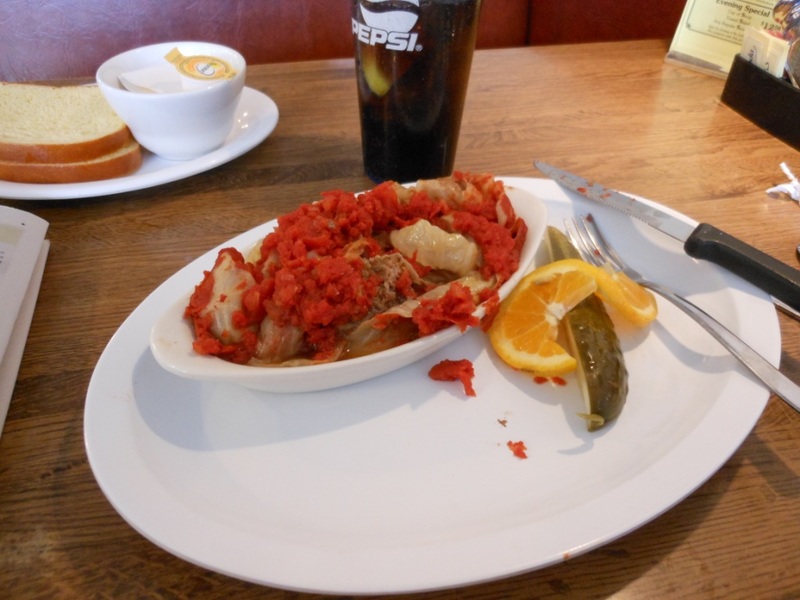 I also had the prake, or stuffed cabbage. Also excellent. Although after those matzo balls, I didn’t have much room, so I didn’t fully do it justice. Sorry, I had already started into it before I remembered to take a picture. Stuffed cabbage is not something Ken is going to eat any day soon, so I enjoy this when I am out and about.I fully intend to make some matzo ball soup, and I have matzo meal, but I haven’t had time yet. Now for some home cooking, I have been reading And Immovable Feast http://animmovablefeast.blogspot.com/ and he makes sliders often. And he often tops them with very different toppings. I thought, hey, there is a clever way to try many different toppings without making huge burgers. 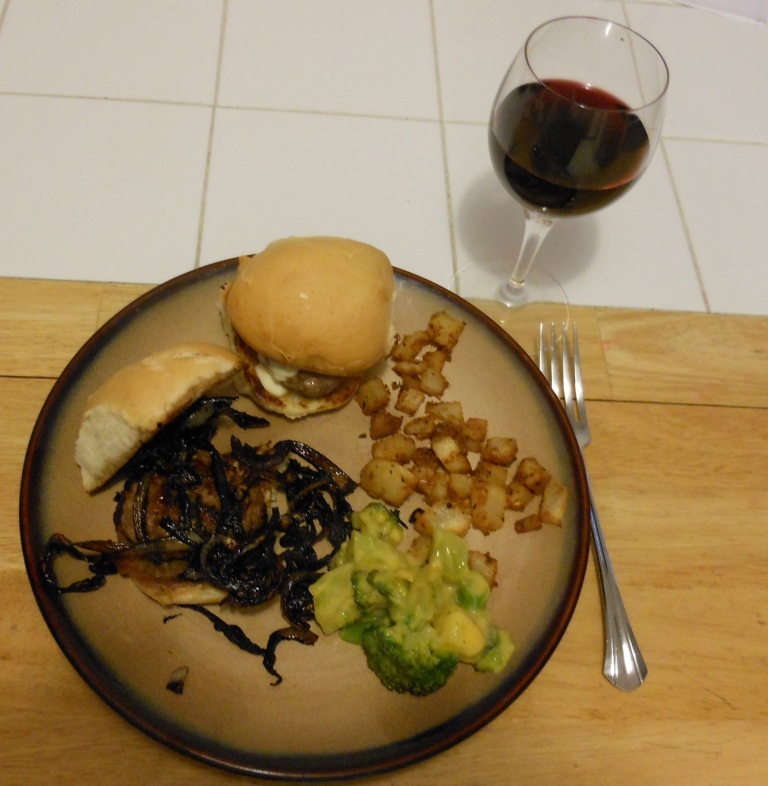 And Ken will pretty much happily eat whatever I cook, as long as it is not scary to him (see stuffed cabbage) (and probably matzo balls too) but he will eat hamburgers, guaranteed. 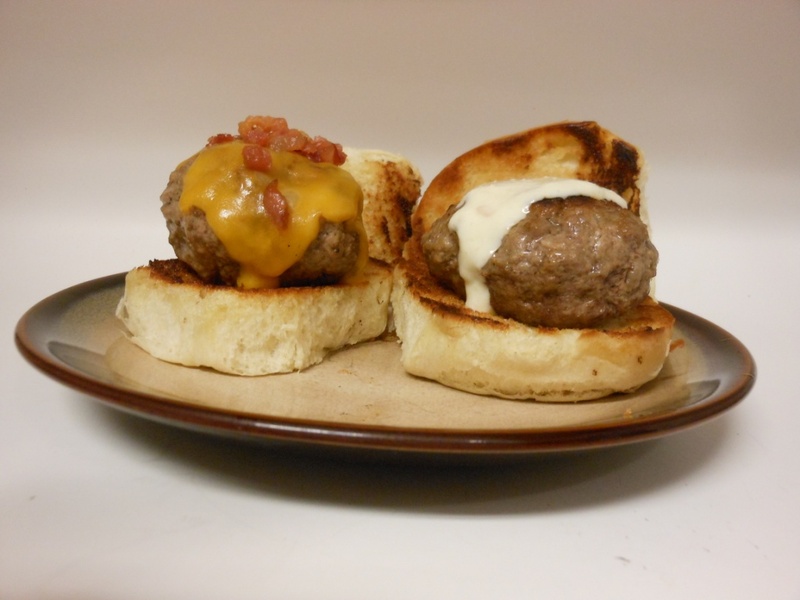 These are Ken’s sliders – cheese and bacon bits, and cheese. I just used nice soft dinner rolls for the buns (and toasted of course, OF COURSE). Now, looking at this picture, you would think that Ken got the better deal, because my onions braised in balsamic got just a little over done. But they were still tasty. And my other one just had cheese. It is really hard to get braised onions quite right here, I think it is the altitude. When you make something like red cabbage or french onion soup, you have to cook it and cook it and cook it, and keep adding liquid, something to do with the altitude, apparently. This next one is a good way to use leftover steak. We had this often as kids growing up, which seems strange now because my Mom says my Dad doesn’t care for rice, so they probably don’t have it as often as we do. I think Ken likes it because it reminds him of Chinese food fried rice. I think this is slightly more healthy. Melt the butter in a frying pan on medium heat. Brown the rice in the butter. Add the can of beef consumme and the 1/2 can of water. Add the leftover steak, and peas. Cover and cook about 5 minutes, stirring occasionally, until peas are cooked and soup is absorbed by rice. Ken will happily eat this as leftovers for lunch, too, and I generally will let him, I have been eating it longer than he has. 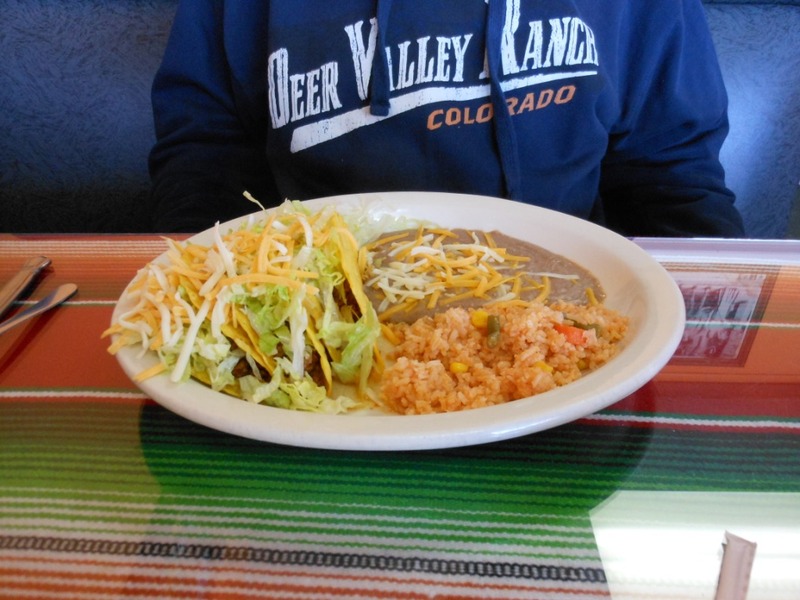 This last weekend we ate at Toluca, a hole in the wall Mexican restaurant here in Westminster. Seriously, I am not sure this is the kind of place I would have ventured into without a recommendation, but the recommendation came from Denver on a Spit (http://www.denveronaspit.com/2011/05/denver-al-pastor-take-10-toluca-mexican.html), and he said they had excellent al pastor tacos, so I had to try it. They have a judo/karate school to one side of them, and a dog groomer on the other side, and their parking lot is in need of some resurfacing, but MMMMMMMMMM the food. We have been there three times now, since this summer. 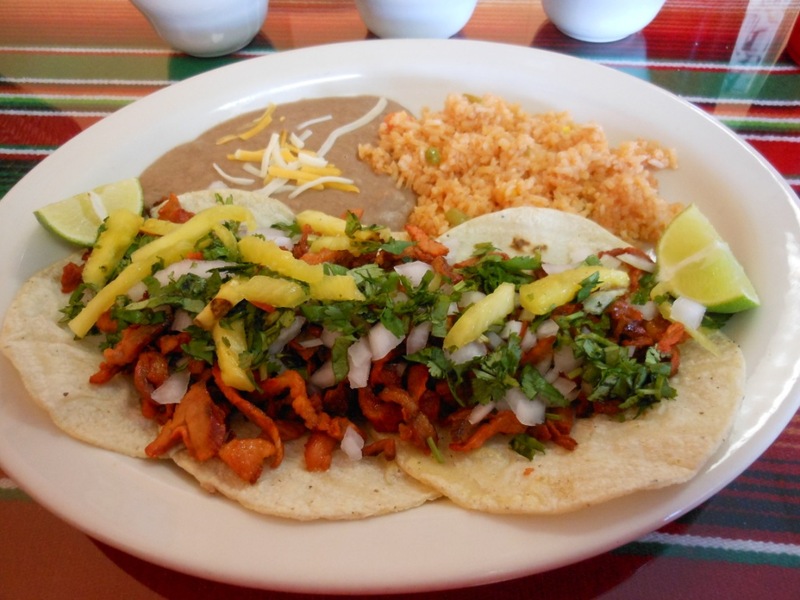 I always have the al pastor, and Ken always has the Tacos Duros (hardshell tacos). The first time he didn’t think they were very spicy, but the 2nd and 3rd times, he was sweating a little. Not enough that he didn’t order them again. 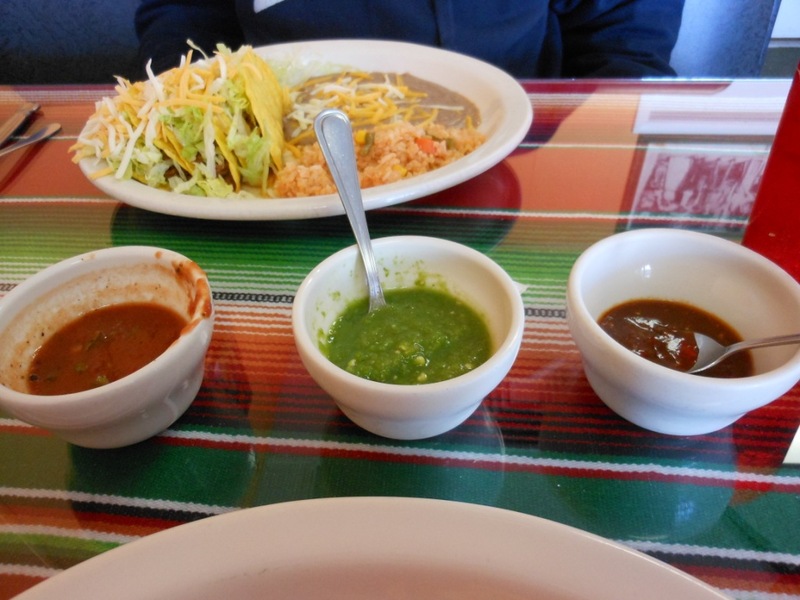 They bring you regular salsa, and then a green salsa (much spicier) and a dark red salsa (maybe some chipotle? I can’t tell, unusual taste) which is also very spicy. I eat those, and Ken stays away from them. And my al pastor, mmmmmmmm fresh pineapple and porky goodness. And finally, a recipe that my sister in law got us started on, and that Ken loves. 2. Unroll dough. Sprinkle cheese over dough. Top with turkey, ham and bacon. Starting with long side, roll up dough (Like cinnamon rolls); press edges to seal. Make 3 to 4 slits in top of loaf. Place on sprayed cookie sheet. 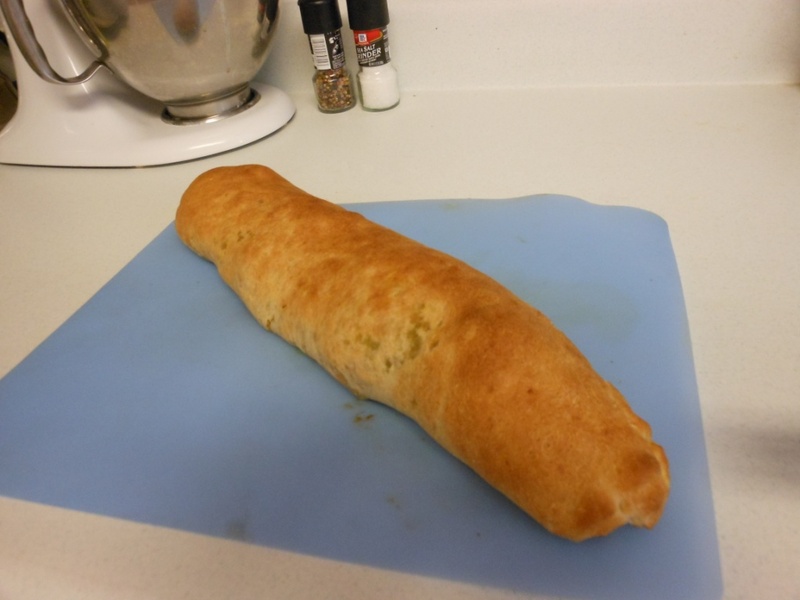 Kristyn: Once the loaf is unrolled, I put a tablespoon or so of Italian dressing on it and brush it all over, then add the cheese and meat and bacon. At this point, it looks like a dish I made for some 4-H cook-off that my brother used to refer to as “The Worm” but really, this is quite good. This entry was posted in Cooking, Restaurant reviews by glenderella. Bookmark the permalink. The sandwich rounds sound good. The fried rice sounds too much like the stuff my mom used to make that I never liked! 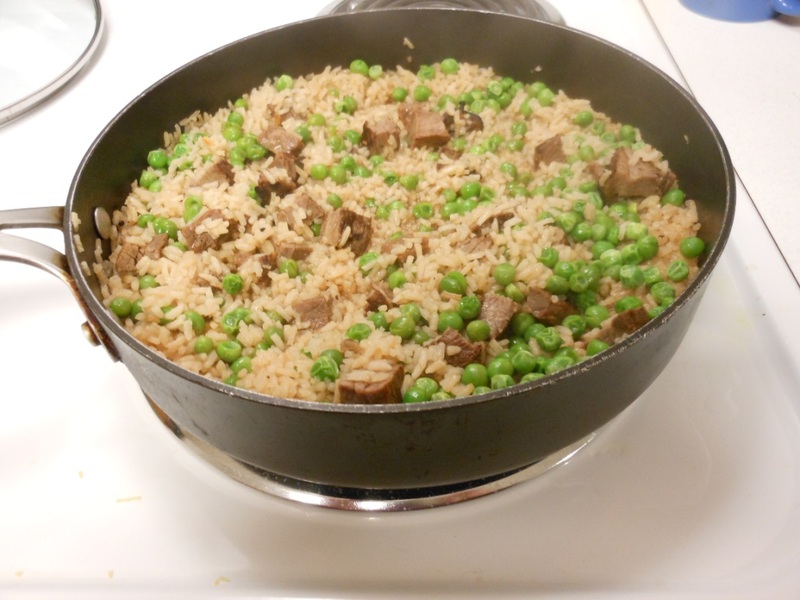 I prefer regular fried rice and will put my extra meat (pork, steak, chicken, etc) in that (without peas … I’m allergic to the taste of peas! ).